Google Search Console stopped updating data for crawl stats back on May 23rd for all users. But for those worried it might be a permanent change due to the migration to the new Google Search Console, it is not. The stats should start updating again soon. 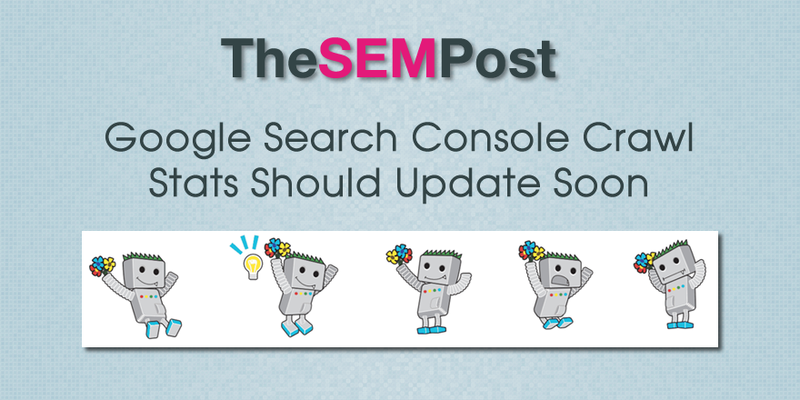 John Mueller from Google confirmed that it is a known issue in Search Console and site owners will be seeing crawl data soon. He also adds a comment that site owners can always check log data to see Googlebot visits outside of Google Search Console. He also confirmed that the paused data in GSC was not a result of any migration, just that it was merely stuck. This isn’t the first time we have seen delays in the data being updating in Google Search Console, and it usually does catch up again with no lost data when it does. As of right now, the crawl data is still not updated, but hopefully site owners will see that change in the next day or two, and hopefully with the data intact.